The South Bay of Metropolitan Los Angeles is a quirky world unto its own. Stretching from south of LAX to the Palos Verdes Peninsula, it’s a hodgepodge of small cities with familiar names like Redondo Beach and Manhattan Beach. It’s a tapestry of middle-class affluent neighborhoods and schools, all types of industries, countless craft breweries, and a deep connection to the sea and beach as it all hugs the Pacific Ocean. The restaurant business in the area is one that’s seen its up and downs. 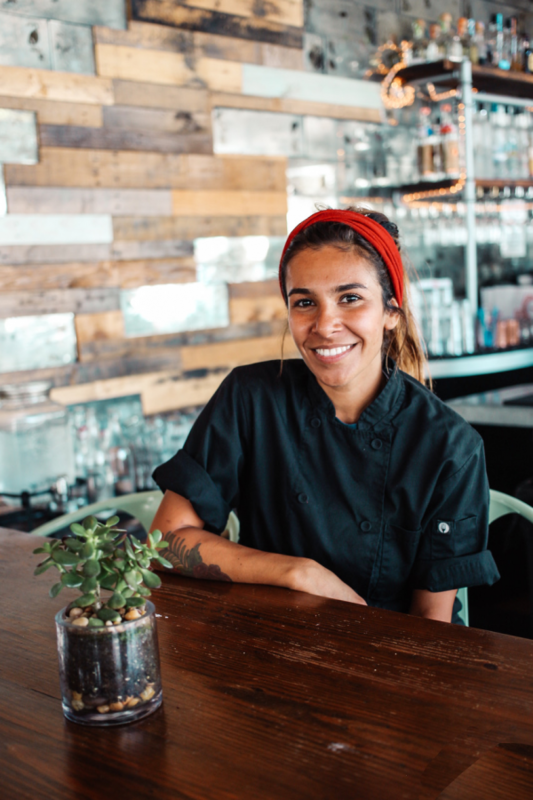 New and exciting options have not always been closely associated with South Bay eateries, but that seems to be changing for the better. It’ll never be a cosmopolitan, trendy downtown urban place with bars and restaurants all fighting to be the next big thing or the cool place for the hipsters to hang out. It’s too vast an area with many sub-suburbia communities for all that. The best we’re always hoping for is a new place that is stretching out beyond the standard bounds with good fare and drink, a good place to spend the evening, catch a game on a big screen, or try new whiskies or some local brews. R10 in Redondo Beach’s King Harbor has all of that. 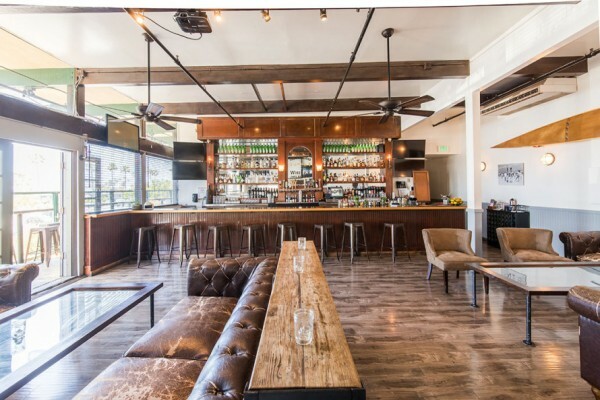 It too is a quirky place stationed near the International Boardwalk overlooking Basin 3 of the marina. King Harbor is fighting for its own renaissance between city officials, developers and its denizens in a never-ending drama with multi-million dollar stakes attached. R10 is surely part of the future. It’s a two-level building with a small bar downstairs and the larger more comfortable one, nicely named Chesterfield Lounge, upstairs with big couches and larger televisions. The old-timey looking bar had plenty of commons spirits with Lagavulin 16, Redbreast, and Highland Park 12 standing out. 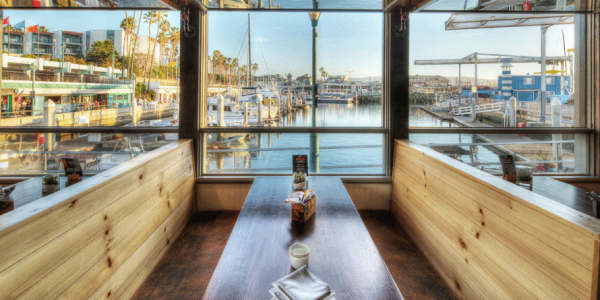 The restaurant seating is mostly upstairs with a balcony looking west out to the break wall and ocean. Of course, the ocean is the theme here with nautical fixtures plus surfing and sailing pictures adorning the walls. This is not unlike many beach area spots up and down the South Bay as the ocean’s DNA runs deep in many of the local watering spots. Aside from its great location, the fun part of R10 is the food. American is the broad term for the style but it covers lots of bases. Lots of veggies and seafood make up the offerings and a “farm to table” essence that plays well in our health conscious and planet-friendly nook of LA. Tacos, Jidori chicken & waffles, short ribs, fish & chips, and plenty more are some of the diverse choices for South Bay taste buds. Keeping our menu as delicious as it was last year! Happy 2018. The main goal on this particular recent visit (which included Mrs. Satellite Engineer, aka my Better Half, and the high school freshman, aka youngest daughter) was to try something called “Heaven Hill Whiskey Loaf”. Hmmm. The name intrigues! Whiskey AND Bread. Together. It’s two! Two great tastes in one! Our small party devoured the warm sliced loaf that was served with honey butter. It tasted quite simply, homemade. With its comfy flavors of maple, vanilla, and biscuity deliciousness, one could easily make a meal of the loaf along with a nice bourbon. The light touch of the Heaven Hill was hardly overpowering leaving hints of it all around and the crust had a nice bit of crunch giving the bread a little firmness to hold. No one likes a droopy bread! Using the conventional ingredients like flour, salt, baking soda, butter and buttermilk – Chef [Cindy] Rizzoli includes a few extra special ingredients in her bread. The orange zest adds a bit of citrus flavor, the currants provide extra texture, but the real winner here is the heavy pouring of Heaven Hill Whiskey added to the mixture – and although the bitterness of the whiskey is not palpable, the maple flavors come through. The alcohol and buttermilk create the perfect consistency between the cross of a teacake and a biscotti. Served with a sprinkling of rock salt, alongside a house made honey butter, the spread provides an extra sweet side that perfectly compliments the loaf. After all, what is freshly made bread without freshly made butter. Disclaimer: This bread will not get you drunk but can cause happiness. We like happiness so we were all for trying this whiskey bread, thoroughly enjoying it, finding it a unique and fun use of a brown spirit in a baked good. It’s a hearty bread that would be a great partner with a bowl of clam chowder on a foggy winter night by the sea, yet would also find its place with a fresh salad on a warm summery afternoon. AK: We love whiskey. Mostly single malt scotch. Are you a whiskey lover, and how did you first start to incorporate it into your cooking? CR: Of course I am a whiskey lover! Working with food day in and day out, it’s natural to brainstorm such things as to “What can I create? What do I love and how can I make other people love it too?” That is what I have running through my brain everyday. AK: There does seem to be trend towards using whiskey in cooking now. Various whiskey magazines now regularly include whiskey recipes. But whisky is a pretty broad category with many flavor profiles. How do you know where to start experimenting with the various flavors for a particular dish? CR: People have been drinking whiskey with their food for as long as they have known what whiskey is. Over time we have learned what compliments it best. I remember when I lived on the East Coast (New York, Virginia) during the coldest of seasons, friends and I would drink whiskey while grilling steaks in the backyard or braised deer roast I had been working on all day. I think it’s those experiences that make me interested, as well as with other chefs who then start cooking with whiskey to incorporate it with a sauce, or a glaze, marinade or even into an ice cream or any dessert. To incorporate it, it’s good to start with the base flavors and notes of the whiskey first and seeing what would compliment it the best and going from there. AK: It’s a delicate balance using alcohol while cooking (drinking it while cooking is easy!) in terms of getting flavor versus an over-the-top-boozy dish. What’s your goal when making a spirit part of a dish? CR: When making a spirit part of a dish, you never want to end up with a too boozy dish. It then becomes unattractive and undesirable. When creating such a dish you have to be able to balance flavors. I remember a colleague of mine made a boozy dessert once and I swear it was like taking a shot! As funny as it was, that’s not what people are looking for and it’s our job as chefs to make them experience balance, flavors and memories. AK: How did the Heaven Hill Whiskey Loaf come about? CR: Wish I could take credit, but it was actually [R10] co-founder and pastry chef, Michelle Meyers, who was the one who introduced the Whiskey Loaf and since then I have not changed the recipe. I love it too much! AK: In creating the menu at R10, how do you think about dishes and how they will pair with beer, wine, spirits, and cocktails? CR: Normally I create new dishes based on the time of year and what is available that time of season. I think people generally pair their favorite alcohol with just about whatever they’re eating! AK: I’m a lifelong South Bay resident, and it’s nice to see better and more whiskey options on shelves in bars and restaurants locally. But it’s not to the point of many places in LA. What do you see as the trend in the South Bay (and the ‘burbs!) for better bar offerings? CR: So many things are done in similar fashion in food and drinks, especially in the South Bay! Ha! But its only because everyone is close and has a relationship with one another. With the trend of high quality, natural ingredients when it comes to food and drinks, I think (and hope) that bars will start to reflect that with the type of brands they decide to stock their bar with. AK: What’s your personal go-to whiskey(s) after a big night of cooking? CR: Saving the best question for last I see! Bulleit Bourbon is my easy “go to” after a long day of cooking or not. Belle Meade [Bourbon from Nelson’s Green Brier Distillery] is another great “go to”. Not too many people know about this one surprisingly so I love referring it to whiskey lovers especially while at R10. And last but not least, Koval Bourbon Whiskey. It is a four grain whiskey, and such a unique craft whiskey. 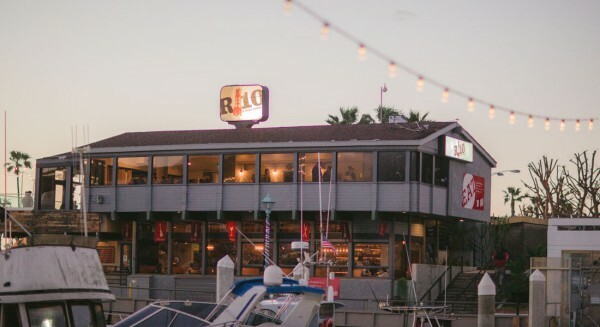 R10 in Redondo Beach’s King Harbor is a friendly spot in the South Bay, and Chef Cindy Rizzoli’s fun menu is reason enough to visit. If you’re in the area, it’s a nifty spot to grab a beer, a whiskey, or a cocktail, then kick back and watch the waves and sailboats. Just don’t forget to order the Whiskey Loaf!